There are serious doubts about Spark Therapeutics’ haemophilia A gene therapy after two out of seven patients on a high dose in an early-stage trial suffered a serious immune response. The news of a safety concern with the treatment sent the company’s shares down by nearly a third, while rival BioMarin saw its shares increase by around 6%. 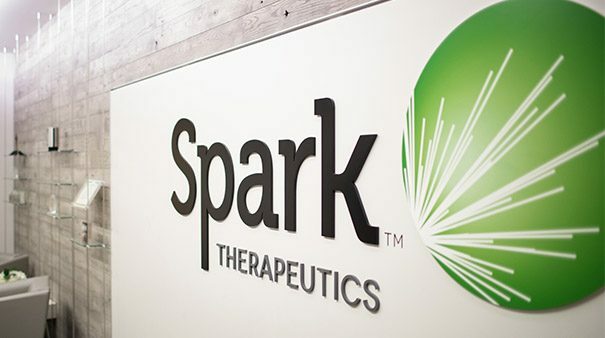 Philadelphia-based Spark has already made history by becoming the first company to get a gene therapy approved by the FDA, after the regulator okayed its Luxturna injection for a rare eye disorder late last year. Spark’s gene therapy, SPK-8011, is supposed to stabilise factor VIII activity in patients with haemophilia A with a single injection, almost entirely preventing the need for injections of the blood clotting protein. And in five out of seven patients treated with the high dose this seemed to happen. There was a 97% reduction in annualised bleeding rate and a 97% reduction in annualised infusion rate, and two patients have shown stable factor VIII activity for up to 66 weeks in the ongoing phase 1/2 trial. Factor VIII activity in five of the patients was about 30% of normal after 12 weeks – but in the remaining two an immune response caused factor VIII levels to decline to less than 5% of normal. Spark tried to play down the effects in a second quarter results announcement, saying the affected patients have moved to on-demand treatment and have seen “meaningful reductions” in bleeding and infusion rates. But one patient did not rapidly respond to oral steroids and he was admitted to hospital to receive an intravenous infusion of methylprednisolone before the matter was resolved. Despite this, and short-term transaminase elevations in three out of the total of 12 participants, the company said the safety profile of SPK-8011 was “highly encouraging” and that any immune response could be suppressed by a prophylactic course of steroids in a planned phase 3 trial. But investors were not impressed – the concern with gene therapy is that while any beneficial effects will persist, so will any unwanted side-effects. This potential for permanent damage, either as a result of the vector used to deliver the therapy, or the biochemical changes the therapy produces, is what is so concerning for investors.